Review After learning how much Swedish gamer PewDiePie earns in a year from his YouTube channel (reportedly $7m for 3.7 billion views), I recommend everyone buys an HD capture device and starts uploading gaming videos. You never know, perhaps you too can cash in before the filming-your-reactions-while-gaming bubble bursts... But seriously, how little or how much does it cost and what do you get if you fancy a foray into gaming video capture? It seemed like a good idea to test a couple of devices to find out. As a games reviewer, the ability to capture high quality video content from PC or consoles with a nifty super portable box is indispensable, and whatever your internet fanbase, being able to upload an HD video of death by Angry Chicken in Hearthstone couldn’t be simpler. What might make matters a little more difficult is deciding on which capture box to buy. I’ve been using both the Hauppauge PVR Rocket and the Elgato Game Capture HD lately and I can see the appeal in both. 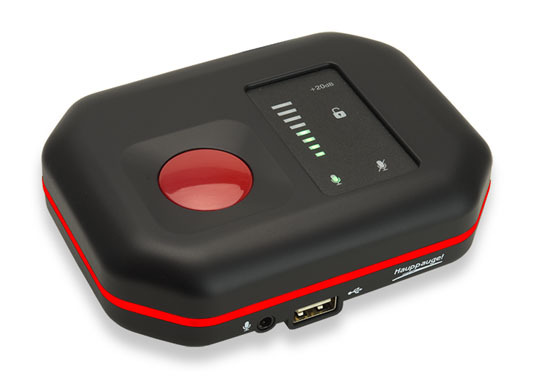 Take the Hauppauge HD PVR Rocket: this is basically a plastic box with a big red button that’s so light it was easy to dismiss as cheap and flimsy. However, this featherweight piece of kit packs an extraordinary punch with its impressive recording quality and general reliability. It’s supremely portable – being compact and USB powered – making it especially useful at any press event where all I need is two cables and a USB port to save my preview footage of the latest blockbuster gaming title. 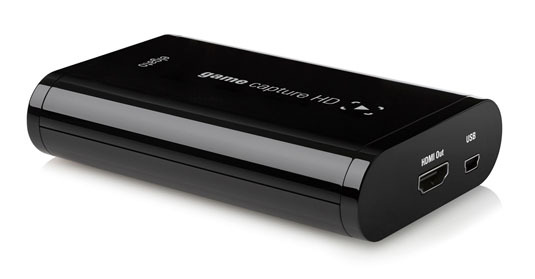 By contrast, the Elgato Game Capture HD is definitely a step up, although it has a price to match. Sleek and glossy-looking, it has superior editing software as well as being excellent for live streaming – perfect for Twitch or any live stream event. Setting up both units required downloading the latest capture software - the Rocket also had a firmware update which sorted out some sound issues. It also had software issues with Windows 7 and some overlapping tabs in the main interface, so the YouTube tab was obscured. Although the Elgato ran without a hitch on Windows 7, I discovered it didn’t record the sound with Windows 8 on a freshly arrived Gigabyte Brix Pro – which might have been more to do with the Brix Pro needing some setup tweaks here and there that I didn’t get to the bottom of. I’m guessing it was finger trouble as Elgato’s forums don’t appear overrun with complaints of no sound. No doubt the culprit was among the possible issues highlighted on the Elgato site. Did I accidentally press the mute button? It could have been bigger and brighter, right? Next page: Capture the flag?